trHappy Holidays!! It's snowing and super cold in Canada, but I managed to avoid parts of the freezing temperature temporarily. I just came back from the sunny Nassau and the Bahamas and is every so slighly tanned... and to also find the airports in chaos! It's difficult to be so detached to the world when you are on vacation and then to find out there was almost another catastrophe! Anyway, I digress.... loved the weather! Also, my Gmarket order came! I was so ecstatic because I thought it would never arrive, or that I would have to pay the shipping fee again, but Gmarket came through!! It makes me feel so appreciative how responsible Gmarket and the Korea Post is in comparison to Canada Post... complete awesome service! Just three packages!! Literally the three packages could have fit snuggly in that white box underneath the pink package... I guess the only complaint is the shipping fees (which is frustrating but won't prevent me from ordering again). To give a rough idea of what the shipping costs were like, for this order, shipping was 30% of the total cost, for <1.5kg. I ordered shoes, which made up most of the weight, but swim wear was locked in at 0.5kg. I love the design and material of the second swim wear, which I believe you can actually use in a pool.... the seller is K-Girl and I'm pretty satisfied with the purchase. The first swim wear's quality is made of terry cloth, which is not appropriate in water, but will suffice for tanning purposes! I forgot who the seller was! The shoes, are made of pleather, but the quality is surprisingly good for $15 (excluding shipping). I will definitely be purchasing more shoes! Overall, albeit being so worried for not receiving my order, Gmarket came through in the end and I am still a happy customer. The process of ordering is only complex when going through all the options/designs to select the product since everything is written in Korean. 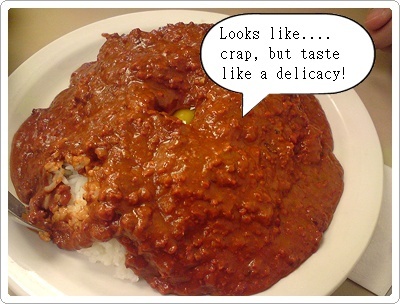 Payment, however, is relatively easy because we can now pay through Paypal. Shipping is really fast, since I can see through the tracking slip that it arrives at the local post office within two days of shipping (but make sure your address is correct)!! I am so upset with Gmarket and Canada Post!! I don't know if I am more frustrated with the Gmarket and it's confusing policies or Canada's customs and it's incompetencies. I'd probably bet on the latter. I made my order a month ago and Gmarket shipped it within a day. It arrived in Canada the next day. Props to EMS! HOWEVER, that being said, my package sat at customs for nearly a month. Being the savy consumer, I thought, okay, fine, I'll just wait patiently for it to clear customs. Lo' and behold, I looked at my tracking slip and it said my package was shipped back to Korea yesterday. Oh for goodness sake, WHY!!! I bought shoes and swim wear. How can that EVER be destructive. I don't think shoes have every killed anyone....oh sorry, I take it back. A shoe did almost killed George W. Bush. I've contacted Gmarket and is waiting to hear from them, but the tracking slip says my package has been shipped out again and this time it's FINAL DELIVERY, whatever that means. I'm crossing my fingers, this time it will be successful! Has this ever happened to you with your Gmarket packages? Just when you think all the giveaways are over, there are more! 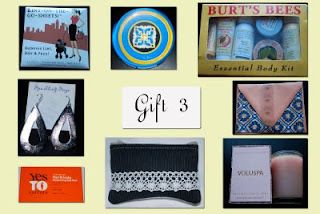 Warning...lots of wonderful giveways to follow suit! 1. 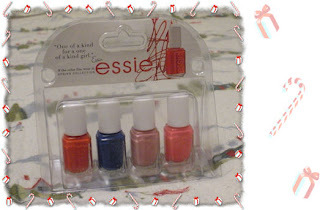 Fabulous Canadian Freebies is giving away a set of Essie Nailpolishes! However...I believe this is exclusive to Canadians only. OMGOODNESS....just look at the prizes!! Only available to Canadian and US bloggers entries only! Enter now!! I've got to give credits to xMaterialGirlx for this wonderful giveaway. 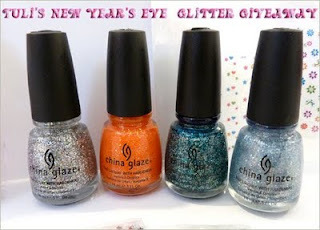 Get a chance to win these wonderful bottles of nail polish by joining the giveaway! 4. Nails of the Day - win 6 gorgeous Zoya Greens! Look at the gorgeous shades....I would totally envy whoever wins this. LOM is giving away awesome stuff; I want to win!! 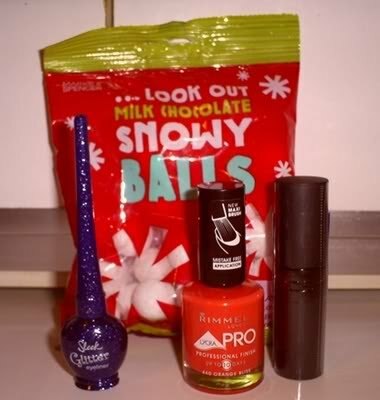 Shan Shan of UK is giving away these fabulous gifts. 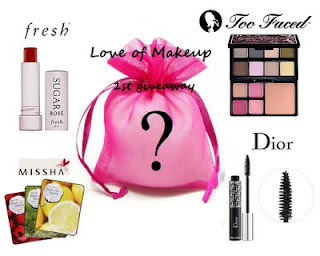 Please check out her blog for more details on the giveway! She's giving away TONS of prizes!! I cannot even list all of them in one breath, so check out her blog and see all the wonderful goodies! 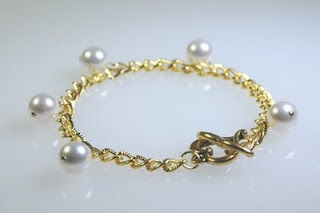 MTW is giving a simple but really gorgeous bracelet - simply gold & pearl white. It would be a great gift for a girl friend! Needless to say, the few afters the results were posted, I rewarded myself with purchases. I was a pretty happy shopper that day I must admit! 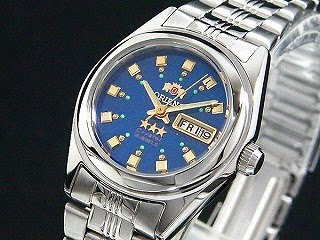 ToyWatches can also be purchased from Holt Renfrew locations listed on the Canadian website. The White Plasteramic dial with crystal markers retails $225USD on the website, but I believe Canadian retailers sell it at $300CDN. I have not checked out the prices at Holt Renfrew but prices should be comparable to Mosaic. I love The Big Bang Theory so I picked up a copy of the second season, which I will probably rewatch many many times. This show is seriously too underrated! 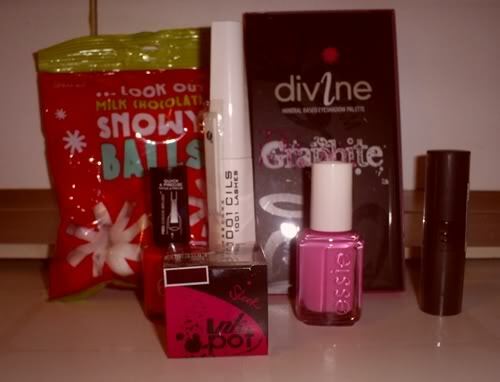 I also hauled from F21 but got too lazy to take photos of my purchases =P. That concludes the gifts to myself....time to shop for Christmas presents! Hope you all girls have a fun and relaxing weekend! As to quote my sister.....I am out of the pit!!!!!!! No more studying FOREVER!!!! I'm too excited for words, but this literally has the same status quo as the Oscars. Congrats to all those who sat for the 2009 UFE. 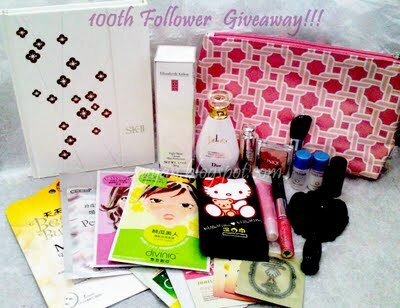 Eki is celebrating her 1400 followers with a giveaway as well! Her prizes are so awesome! 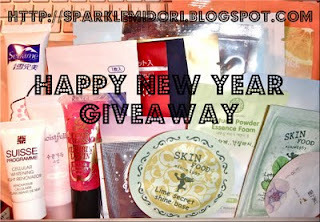 Ann &Mich are having a giveaway which ends Dec 7, 2009! There are two packages available! They also have a second giveaway running concurrently for two etsy items! 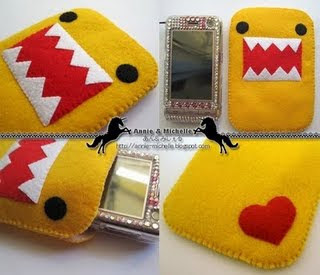 You have a chance to win a domokun iphone case and a gorgeous red rose square necklace! 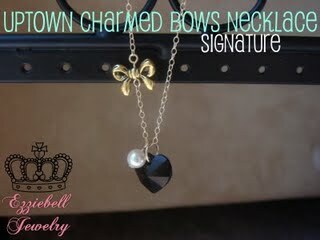 Ezzibell the creative jewelry designer is having a giveaway! Her pieces are so cute; join her giveaway before it is over! Time flies!! It's already December.... at least I have parts of my vacation planned and booked! I'm going on a cruise this Christmas but because it's last minute I feel as if the pricing is a bit of a rip off...plus the reviews were not so comforting. What are some cruise/cruise lines you've been on that gave you a memorable experience? Anywayyy....below are some incredibly kind and awesome ladies and their giveaways! LMX is giving away a Clarisonic Plus for the Face and body! Giveaway ends November 30, so join now! 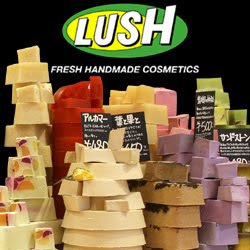 I love Lush! The smell is really intoxicating everytime I walk past the store in Eatons. Her giveaway also ends November 30, so don't miss out the opportunity. 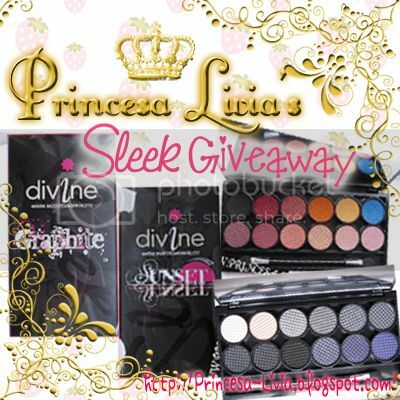 Princesa Livia has a fantastic giveaway that ends December 7, 2009. 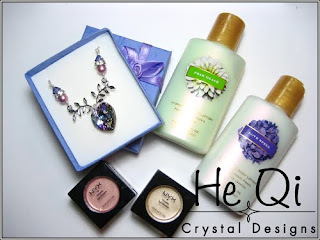 Join her Sleek giveaway! 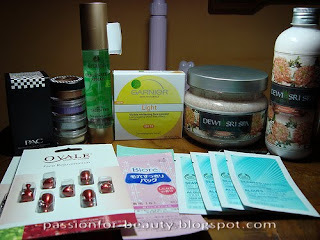 xshakespeare and stilettosx's giveaway ends December 7, 2009. 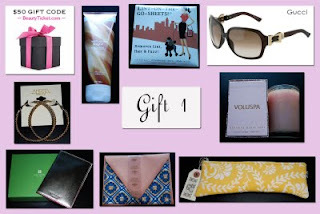 Follow her blog and enter the giveaway before you forget! November was a pretty intense and busy month. I was sent to the west coast, Splendor sine occasu, for a quick work excursion.... and it was work work work work all week. The best time I had was the five hour flight back home...I guess that says alot! 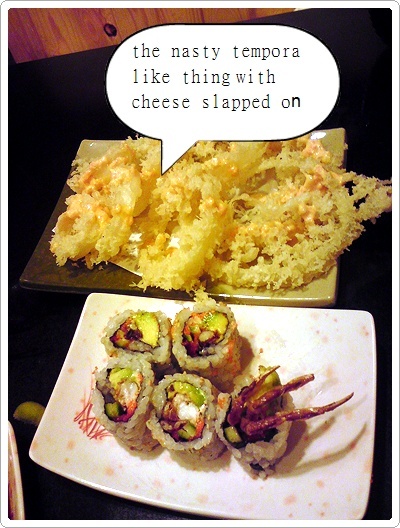 I managed to take some time to try out the sushi, which turned out to be a disappointment considering the west coast is known for fresh fish. I mean they're suppose to be right from the coast! 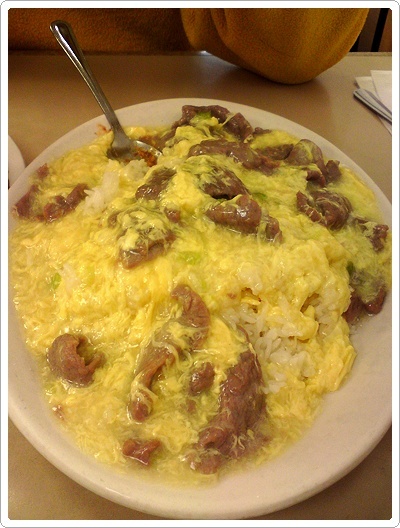 I must say it's only comparable to Toronto (maybe it's because I was not in Vancouver City?!). I did try the pannekoek from De Dutch, which is similar to I Feel Like Crepe, serving savory and sweet, not crepes, but pancakes - dutch style. According to De Dutch, the Pannekoek, pan_ne_koek (pãn-ne-kõõk), n. is a genuine Dutch pancake, tasting similar to the traditional North American pancake and is slightly thicker than a crepe. It has a circumference of 37", a diameter of 12" and if you cut it into square inch pieces you will enjoy 113 bites. Simply delightful any way you like, but the customary way is to roll it up and cut off bite-size pieces. I'm more of a savory type of gal, so I ordered "The Windmill" which consists of Shaved Wild British Columbia Smoked Salmon, imported Edam Cheese and Hollandaise Sauce. Actually being the diva that I am, I replaced the Hollandaise sauce with two eggs. 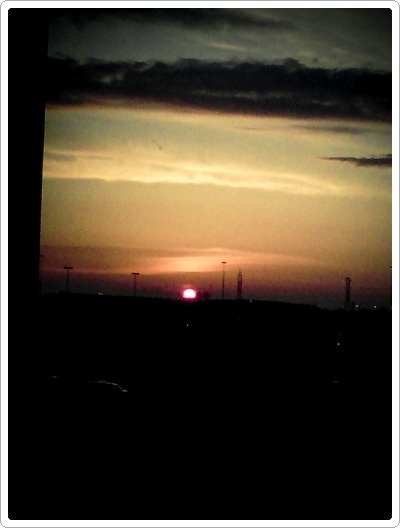 Other than the mediocre food, the scenery was a good change. I think the pollution is less prominent in the west; the drivers even drive less aggressively! But it's still better to be home. For those watching You're Beautiful, I hope you're not as embarrassed as I am. I squeal each Tuesday knowing that I will soon be able to be part of something so great and awesome.... The newest episode (10th) has currently been subbed on Viikii, so check it out if you have not! Needless to say, I was one of those fanatics refreshing the page hoping it would have been posted at 11pm PST yesterday. It appears that some sort of net phenomenon occurs whenever 3 or 4 incredibly good looking korean males get together (i.e. Boys Over Flowers). Well, I'm only watching it for the plot ;) ..... !! The Hong sisters are definitely stepping up their game. 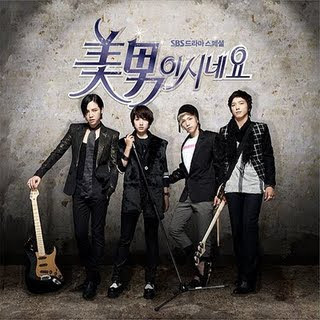 I also find the music selection quite good, but maybe that is perhaps due to the fact that the fake band "AN.JELL" are composed of actual singers, except for Park Shin Hye. She has a lovely voice though, so no complaints. Check out track 7 - Without Saying by Park Shin Hye. They've been playing her song throughout the episodes and fortunately, I don't think anyone is sick of it yet. Sorry, I've been MIA for awhile. I've also been taking on more responsibilities so have not been motivated to blog. An exciting update is that I will be heading to BC in a month for a stint, aka. work. But hopefully I'll get a chance to do some travelling before I return. Other than work, I've been frantically trying to catch up on The Big Bang Theory and America's Next Top Model. Yes, ANTM is still my favorite reality show despite the fact that I have to endure 40 minutes of whining, ignorant 18 year olds. Also, after Shining Inheritance I have looked hard and long for a good drama, and SBS finally produced a gem. Written by the Hong sisters (the same talent who wrote My Girl, Hong Gil Dong and My Delightful Choon Hyang), You're Beautiful is hilariously crafted. After being incredibly disappointed with My Fair Lady, I'm so in love with You're Beautiful. The characters have depth, the plot is interesting and the cast are refreshing. So, I highly recommend this drama. It airs Tuesday/Wednesday on SBS, Seoul local time. I want to tell you about an opportunity to win $200 cash at LuShae Jewelry's competition! Click on the link to join! It's super simple! Crying releases stress. Crying elicits nonverbal communication, inflicted pain, fear and anger. Crying only occurs because you are emotionally affected by the actions or words of someone you care for. One day I will stop crying because it will hurt too much that I no longer feel the pain; I will no longer be affected by what you do and what you say. The day I stop crying is the day I stop caring about you. Let's be truthful, be real. BE SINCERE. On a day when my head pounds, when I want to rid of all my troubles, heartaches and physical pain, I listen and fall in love with James Morrison. His words hurt, but are truthful. Because he's so real, and I can feel the sincerity in his music. It cracks me up that because we're on pandemic alert due to H1N1 previously known as SWINE, people are beginning to take cautionary actions - aka wash hands, cover mouths when we cough, etc. So people were not washing their hands before??? Plus, it's a courtesy to cover your mouth when you have a coughing fit. Let's not pass our germs along. Despite this life-threatening-but-under-controlled-virus, Mr.W and I still had our share of... mammals this month. 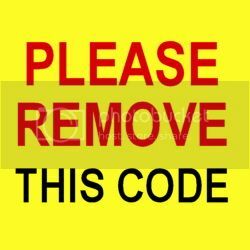 I realized I am a sucker, like many others, when it comes to freebies. Amazing Grace Firming Body Emulsion is a toning body moisturizer that helps to purify, moisturize, and revitalize dry, aged, or wrinkled skin with a unique blend of antioxidants and vitamins E and C. Chock full of luscious moisturizing properties including shea butter, macadamia nut, and olive oils. I've been using my MUFE HD primer though, but lately I've been put off by the smell.... Currently I am OCD with skin care, and looking more human than I have been for the past month. Perhaps it's because I've been lacking sleep and the fact that summer is tinkling along I want to avoid going dark at all measures. Whereas some girls enjoy getting tans, I don't want to have sun spots and saggy skin when I am 35. So if you're still debating on what is an appropriate birthday gift (since yours truely is only 25 days away), skin care products are excellent choices!